Sanchez has scored just five goals in 37 appearances for the Red Devils. ALEXIS SANCHEZ “COULD go back to Arsenal,” claims former Gunners star Marc Overmars, with the Chilean likely to be questioning his decision to leave for Manchester United. The 30-year-old forward made the call to depart Emirates Stadium during the 2017-18 campaign, as his contract in north London ran down. Arsenal avoided seeing him drop into the free agent pool, with a trade deal put in place with Premier League rivals which saw them take Henrikh Mkhitaryan as Sanchez headed in the opposite direction. Neither club has found much value in that agreement, with two proven performers struggling to produce their best amid lofty expectations. Sanchez has flopped badly at United, with just five goals recorded in 37 appearances, and questions continue to be asked of the contribution being made by a man on a lucrative contract. I have great respect for Alexis because he did extremely well in Arsenal, I do not know if it was a good decision to leave. While Sanchez enjoyed considerable success at Arsenal, finding the target 80 times in 166 outings, it has been a different story with United. Speculation has already suggested that he may be moved on by the Red Devils on the back of a failed experiment. It could be that he looks to retrace his steps, with Overmars of the opinion that a shock return to familiar surroundings could be made. The Dutchman added: “This type of player was very important for Arsenal because that’s where they take you. 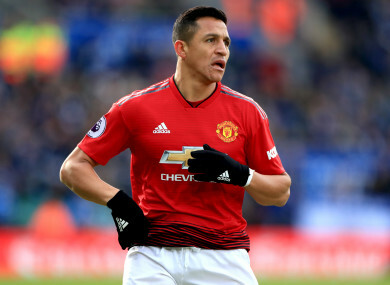 Sanchez penned a four-and-a-half-year contract upon his arrival at Old Trafford, with that deal intended to run through to the summer of 2022. Email “'He could go back to Arsenal' - ex-Gunners star questions Sanchez decision to join Man United”. Feedback on “'He could go back to Arsenal' - ex-Gunners star questions Sanchez decision to join Man United”.